the University of Notre Dame, Bob spent the early part of his career serving in several engineering, sales, and management positions while pursuing his MBA. He is a WABC registered corporate coach and has earned certifications in consultative business development and in quality assurance. 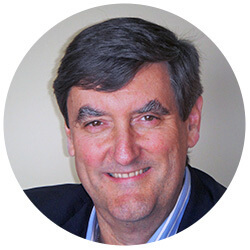 Bob serves telos as a Senior Consultant for business and leadership development. In this role, he achieves transformational results by leveraging his extensive senior management experience to help clients achieve their goals and accelerate their growth. In addition to leadership development, Bob assists clients with customer-partnered business development, strategic growth planning, value proposition and branding, new product development, sales and general management, operational alignment, customer service, and process improvement. Bob is an accomplished speaker and author of the book “The Gauntlet.” He also publishes a weekly business and leadership development blog, serves on several advisory boards, and volunteers to assist with local economic development initiatives. He and his wife reside in the Cleveland area, as do the families of their two children, including their four grandsons.